This article is rated NC-17: No children born after the mid 90s will understand. Does it ever seem like everybody everywhere is getting worse at everything? From politicians who don’t know how to solve common problems, to meteorologists who are less accurate than pre-computer days, to food companies that put more and more chemicals into what you eat, to basically the entire music industry? And that the people who are still actually good are making less stuff? If not, you’re young. Go enjoy life. But otherwise, fellow bitter old men, nod your heads in agreement and join me in my theory that in many cases, most of this entropy is caused by the same two reasons: expense and bad taste. Because we’re getting stupider, things are getting more expensive. And when things get more expensive, big companies become frightened and decide they can’t afford to take risks by doing fun, exciting things. This in turn makes them very kid-unfriendly, even when their primary customers are kids. 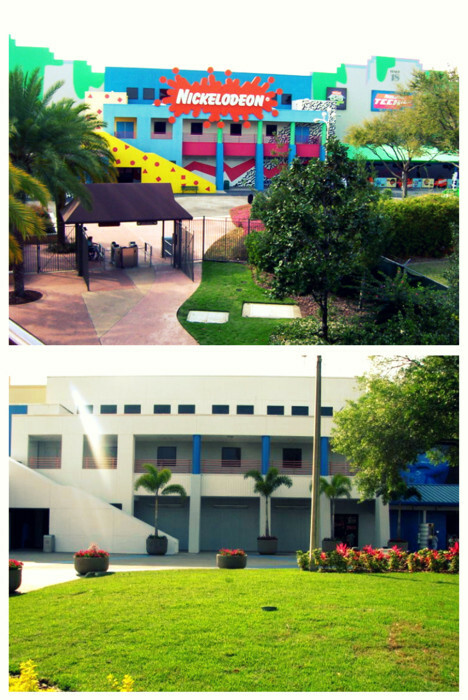 Exhibit A is the famous pic of “Nickelodeon Studios: Then and Now”, which shows what the famous kids network headquarters used to look like when times were good (back when visiting Nickelodeon was like visiting Disneyland, but with slime poured on you), and then what it was forced to become when the business committees took over. It played out like the plot of many a 90s kids movie. Exhibit B is just about every single McDonalds across the country. 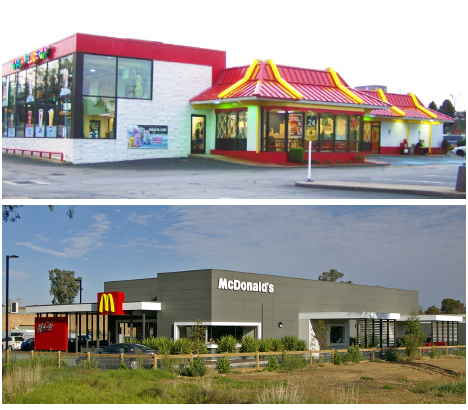 Do you remember when a McDonalds was a brightly colored building with an outdoor Playland attached and kids running around everywhere with Happy Meal toys? You should because it wasn’t long ago. Then something unexpected happened: the economy took a dip and McDonalds actually had lower profits one year. They didn’t take a loss, their profits just weren’t as big. But that was an emergency, and the panicked company decided it was because people weren’t taking them seriously enough, so they ordered their franchises to convert the brightly colored beacons of children’s rewards for doing homework into an expensive looking high-end cafe. Sorry guys, McRib isn’t going to save you from this one. Expense issues show up in the gaming and animation industries when more things need to be done faster with fewer people. While computers have helped paste things over, the trade-off has been the decreasing quality of artists, who rely on computers more to speed things up. Look at a typical portfolio of a professional 3D sculptor and you will often find the ugliest images the human mind has ever been able to mass produce in history. I don’t know what is going on with the 3D industry, but there is some kind of unholy consensus that being able to add more detail means an obligation to make it more disgusting. Exhibit D: Michael Bay’s Transformers was like watching rigged piles of garbage. Why did they make it like that? Well! You can’t just make it the clean, simple shapes of the original source material! That’s kid stuff! It needs to be way more dark and gritty or else people won’t take our movie about giant robots from outer space seriously. It’s now 2015, and I was thinking why it’s so hard for me to look back with rose-colored glasses on the 2000s decade, the way I can with any decade before that. It’s not that there wasn’t any memorable culture, it’s just that something about it was different. What changed between entertainment of the 80s and 90s, and everything after the 2000s? I think there’s at least one obvious answer. Here’s a prediction: Art History classes of the future will teach that 9/11/01 was an event that affected American society more deeply than we thought, such that almost overnight we went from wanting our entertainment to be as fun as possible to wanting it to be as serious as possible. Primary illustration: it wasn’t long afterward when a lot of people suddenly agreed that the majority of children’s comic book franchises weren’t dark enough to be taken seriously, and needed a Gritty Reboot®. The fact that people 1) wanted escapism to be taken more seriously, and 2) that it had to be done so by making it as dark and miserable as possible, was the domino effect of a traumatized culture. If back in 1993, the first Mortal Kombat were Mortal Kombat 10, Janet Reno would’ve sent the entire staff of Midway to a Cuban prison. There’s always occasional psychological problems in society, but now we stopped resisting/keeping it in check, like 911 triggered some kind of cultural self-destruct sequence. Put another way, you don’t need a PhD in psychology to see a 10-year-long-and-growing obsession with zombie apocalypses as a cry for help from a rotting culture. What I’m getting at is that there’s an increasingly vast array of basic things the 80s/90s got right that 2000+ is getting wrong, which is making me feel very nervous for my friends who have young children to raise. So how did things work back when we still had that magic? What was it that lets me remember 1995 more fondly than 2005? A playthrough of an old arcade classic recently gave me an answer. To set the stage, the arcade scene was thriving for all of my developing years. I was 10 years old the weekend that I first found the Teenage Mutant Ninja Turtles arcade game. My favorite cartoon had showed up in the arcades and they managed to make it look even better than their first NES game!? I don’t think a new iPad or even a game console for a kid today could come close to the brain-numbing awe that I felt that afternoon. I wasn’t new to arcades back then, so one of the things that stood out amidst an experience that was already tingling my palms was when Bebop came crashing down to start the second boss fight, and Michaelangelo quipped “They ain’t getting any prettier..” mid-fight. That was rulebreaking. I didn’t know characters were allowed to talk outside of cutscenes. As I was processing what just happened, I moved over an open sewer hole and fell in. It wasn’t part of the background. You could interact with it. What. The heck. What stuck with me was this idea that “they didn’t have to do all that”. It still would’ve been an amazing experience without those few extra lines of code. It was extra throwaway love, like if your mom put a little “I love you” note in your lunchbox, as if one of the game’s designers asked his boss at the snack machine “hey by the way do you mind if we also throw in ___?” It’s like the game itself was trying to make friends with me. Fast forward to the year 20XX: I had never played Cadillacs And Dinosaurs in the arcades, but I got an emulated version on someone’s recommendation. Arcades had been closing down for a while now, and the thrills of what a few quarters could get you had been forgotten in the mix of multimillion dollar 3D blockbusters that all looked the same, and working a full time job. I started up the first level and something began to happen. I had never played this game before but the sensation was like I had been away from McDonald’s for years and began to smell their french fries again. I was experiencing the full power of consummate experts back in their prime. This wasn’t a game, this was an extravaganza — one that felt like it was effortlessly put together in the spur of the moment as their ideas came to them. The moment that crystallized all of this for me was when I grabbed a bazooka and blew up an enemy, and noticed his standard death animation replaced with an explosion of yucky yet nondescript red chunks. “Ew, cool!” I grinned, thinking back to all my old action figure villains whose heads I’d pop off as just punishment for their proud hubris. As impressed as I was that they went to that effort to show the oomph of that extra damage, for a brief second, I also caught a glimpse of what distinctly looked like an eyeball. I had to pause the game. Did I just see that? I waited for another enemy and did the same thing and paused again. There it was. They threw in an eyeball. For those who don’t know, you could count on CPS2-era Capcom to have good taste. I knew instantly what I was seeing wasn’t some low class goreporn. This was Capcom with a wry smile saying “go ahead kid, stick your hand in and feel all the gross eyeballs!” as they turned off the lights and held a bag of peeled grapes. Basically what happened was I saw this and realized I needed to write an article about it. In both cases, you knew — consciously or not — that these games were being made by people who liked kids, understood them, and were probably pretty much kids themselves. In short, the one consistent theme in the arcades was: the most things that made you feel good (bright, colorful, high energy fun) and the least things that made you feel down (“dark, angst-filled reboots”). Sure the continue screen of Ninja Gaiden had a James Bond style buzzsaw hovering over the guy, but the goofiness level was such that it didn’t draw you in deep enough to traumatize you even as a kid. 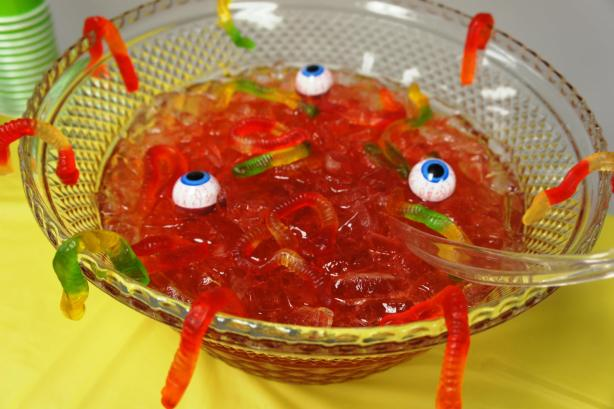 You still knew you were sticking your hand in spaghetti even though it said “Ew Brains!” on the halloween bag. That was a decade that raised healthy kids the natural way. Or you know, they don’t always have to be fake.. So is this all just wistful thinking, helplessly remembering a time when things were better and complaining that it’s gone forever? No, and here’s why I went to all the trouble of writing this post: there’s still a group of renegades who can veer society back into a healthy direction, who have enough freedom and ability to influence maybe not we too-far-gone older gamers, but those young, growing 10 year olds still deciding what they’ll be like as they get older: that would be you, Indie developers. You’re the biggest exception to this universal law of entropy, because you’re the most unrestrained producers. We all know the big guys aren’t what they used to be. It’s like everybody everywhere (who’re slaves to the bottom line) is getting worse at everything. But the one good thing we have now that we didn’t have in the 90s is a thriving internet — the great equalizer. And those kids aren’t in arcades anymore; they’re in front of iPads. Their attention is yours for the asking. You could be flipping burgers and still make the next Minecraft. Let me suggest a way that can happen: can you be a Nickelodeon or McDonald’s for gaming? Can you stand against the almost all-consuming trend of going from “colorful and full of character” to “dark and all looks the same”? While others are making knockoffs of Call of Duty: Zombies Everywhere, can you make a game about a giant worm superhero? Can you be bright and colorful, while also pouring goopy Ectoplasm on your players? Can you tell a happy story while also challenging the player with how many bugs they can eat per level? Can you make a child excited to come home from school to get back to your game, without spending millions of dollars on it, just from your style? Can you make a game where a player goes to escape, not to vent? You’re the only ones who can afford to re-introduce us the ideal and help cure a sick culture (and save my friends’ kids). Teach us how to have goofy fun again. Leave the dark melodrama for the emo teenagers, embrace style over budget, and demonstrate some good taste by blowing up the occasional eyeballs. I feel the same way was many others here. I grew up with the Sega Master System and Mega Drive (Genesis to US folks). Also owned NES. Even though the processing power and graphics of today’s machines surpass the older generation’s many thousandfold, I feel they did not match the ingenuity and creativity of the prior games. Same could be said of the cartoons, movies, etc. 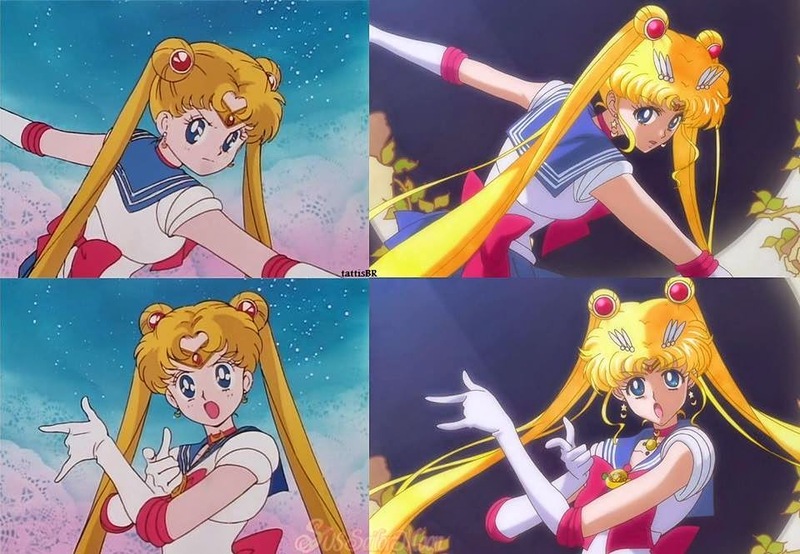 I have to wonder how much of this is colored by our nostalgic feelings, though. I often hear the same heartfelt comments from the younger generation who grew up with Naruto, Bleach, Adventure Time, etc. To them, those series are now ‘classics’ and will be regarded by the future adults as fondly as we view Transformers, G.I. Joe, Dragonball and Sailormoon (and for the even older generation: Astro Boy, Speed Racer, Gigantor, Mazinger Z, etc). I love your site! We need more retro-centric content on the web. Keep up the good work. always a pleasure reading your articles, sir. –likewise a pleasure to have them enjoyed, sir. Thanks for the read. I love pixel art and I want and hope to remember the colorfulness, the fun and contentment I had. For a guy like me who had his best gaming experiences on Atari 2600, Commodore 64, NES, Megadrive and SNES, your Site is like the perfect Drug. I like all the 2d stuff so much. Also the Indie games or modded games from nowadays are superb. Thanks for sharing all the stuff here. It has been a long time since I read an article from top to bottom. Your point on 9/11 is relevant, even if its not this precise event, something changed during these days. 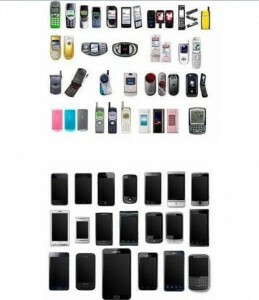 Thought it was just nostalgia googles, but your black phone pictures made a point. Maybe the wave is going to pop up with the next generations of makers, notice how they are a bit more care free than us, like they have integrated something and they are now freed from all the thinking. But maybe not. The little capcom details illustrate perfectly what makes the difference, and I can only notice all of these you put into your webdesign. Of course they can’t make it all, but built upon a solid but simple base, they change the whole game. Loved reading this. Totally resonates with how I’ve been feeling about games today. I have 3-year old twins and I’d love for them to enjoy gaming how I did back in the 80’s and early 90’s. 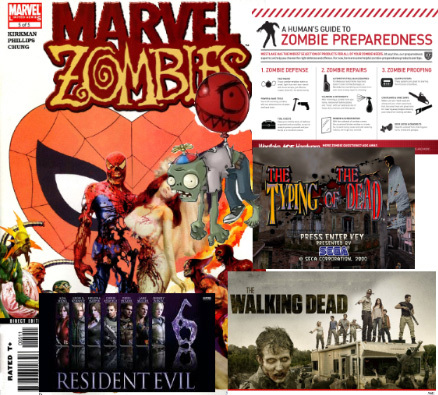 All this time we’ve been whimsically putting together zombie-preparedness kits, we weren’t ready for the Twilight Zone twist ending that it’s because our subconscious was warning us that we were the zombies — and it’s our unbrainwashed kids who are the ones still alive with a chance at survival. There’s hope with the Indies, but nothing beats taking matters into your own hands. Here’s an emergency zombie-culture-preparedness program you can give your kids in the hopes that when they grow up, they’ll see this culture for what it is and become rebellious anti-authority renegades who insist on pre-millennium entertainment the way vegans insist on organic: start them off healthy and early with a DVD box set of ThunderCats, GIJoe, maybe something like The Centurions, and Ninja Turtles. Find them the action figures on ebay. Basically make sure their imaginations can do 50 reps per set before starting them on gaming. Then download an NES emulator. You should know the rest. Keep them off the internet so that they think this is what’s out there, and time it so that when they start school and begin interacting with other possibly infected kids, they’ll be up to 32 bit and safely inoculated. Compressing 20 years of life into a handful will be difficult unless you plan it out, but worthwhile.